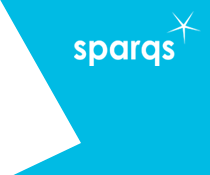 Following from the QAA’s Enhancement Theme, Student Transitions, sparqs carried out a number of projects on this theme relating to various parts of the student experience of transitions. Often the conversation about transitions emphasises the ‘life experience’ transition of a move to a university or college environment. Focusing on leaving home, or student life, sometimes the fact that a student is changing their style of learning and embracing new pedagogies and teaching practices is not emphasised enough. This emphasis on the student experience of the curriculum and learning and teaching led to sparqs and the Higher Education Academy partnering to run a series of events on Learner Transitions in November 2015. Bringing together over 70 students and around 40 staff at four subject-specific events across Scotland, our events took in Engineering, Social Sciences, Health & Social Care and Creative Industries at The Robert Gordon University in Aberdeen, Glasgow University, Edinburgh Napier University and University of Abertay in Dundee, respectively. Our aim was to bring together learners and staff from different educational institutions (secondary, further and higher) with a shared subject interest to encourage a dialogue on learner expectations of curriculum and learning style in the next stage of their education. We also supported cross-sector inter-disciplinary and widening access networks to consider best practice in supporting successful transitions. By engaging with school pupils, teachers, college and university students and staff, we began to build up a picture of what students are looking forward to, and what they are scared of when going through a learning transition. Although this is an incomplete picture, the kinds of things learners are looking at when they make choices about where to study do include issues such as the type of learning they will receive, the qualifications they will achieve, and the learning communities they will be a part of. These events were a useful reminder to keep the focus on the curriculum when we are thinking about student transitions. For further information on this area of work, contact Morven Stewart.